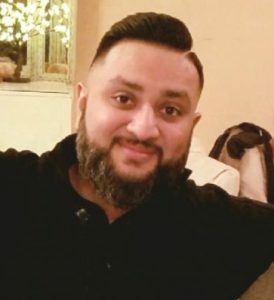 Jasdeep has been practicing in an Out-Patient Ortho setting for over 16 years and has helped numerous clients with vast impairments to maximize their overall function. She graduated with her BSc (PT) from Western University in 2000. Since that time she has gone on to complete her transitional Post Professional Doctorate in MSK Management from EIM and in July 2015 completed her MClSc (MT) from Western University. 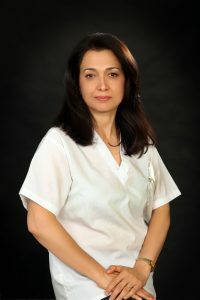 She has extensive training in acupuncture and manual and manipulative therapies. 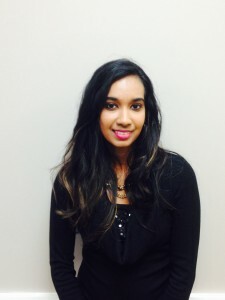 Jasdeep is also a Fellow of the Canadian Academy of Manipulative Physiotherapy. She is an Instructor and a Mentor within the Orthopaedic Division of the Canadian Physiotherapy Association. She also spends her time as a skills lab facilitator and teaching assistant within the Physical Therapy programs at the University of Toronto and McMaster University. She currently sits on the board of directors of the Ontario Physiotherapy Association as well fills the role of Secretary of the National Orthopaedic Division. She is also involved in providing continuing education courses to Physiotherapists . She has been awarded at a national level for excellence in mentorship. Registered Physiotherapist, PT, MCPA, ESLM & Medical acupuncture provider. She is committed to provide the highest quality care to her clients by integrating patient centered, evidence-based practice with her clinical experience involving manual therapy, modalities, myofascial release, exercise prescription, acupuncture and patient education. 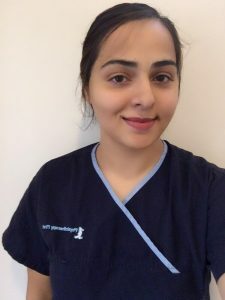 Ravinder values the importance of continuing education and she has taken post graduate courses to enhance her knowledge in the physiotherapy field. She successfully completed the McMaster Contemporary Medical Acupuncture program and she is rostered with the CPO to perform acupuncture. She has successfully completed the diploma in Exercise Science and Lifestyle Management (ESLM) which enables her to design individualized and goal-oriented rehab program for her patients. 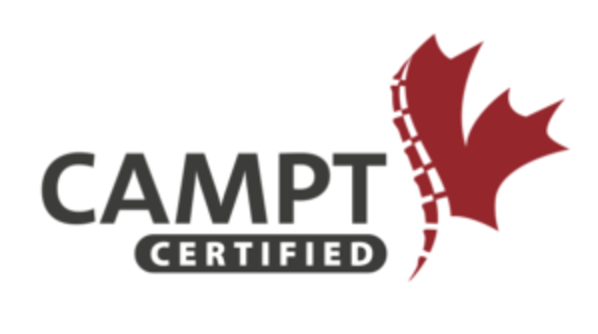 In addition, she has also attended courses and seminars on gait analysis, medical compression therapy, custom orthotic therapy, APTEI: advanced upper extremity complex certification program. She strives to continue the post graduate advanced manual therapy courses that will enable her to incorporate the latest evidence based knowledge for qualitative client centered care. 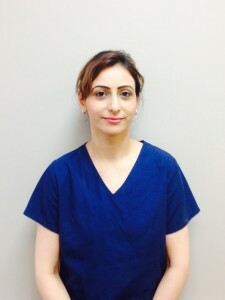 Gagandeep Dhiman is a Registered Physiotherapist and member in Good standing with College of Physiotherapist of Ontario. 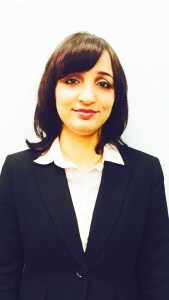 She graduated from India in 2007,and got a chance to work with a one of the renowned multispecialty hospital in India. 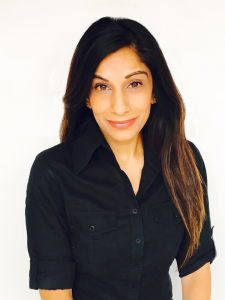 Gagan is passionately committed to a client centered approach .She focus on maximising patient’s quality of life and movement potential through prevention, treatment , promotion, and rehabilitation. She works with her patients to ensure they receive the necessary knowledge about their condition and take effective measures to prevent secondary injuries from occurring. 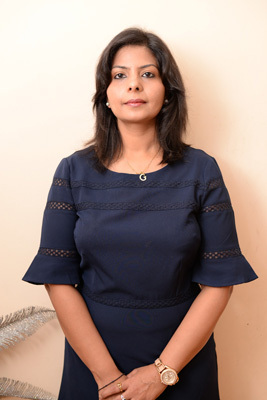 She is dedicated towards devising personalized exercise programme , facilitating manual therapy and educate patients to live active and healthy lifestyle. She believes that affinity is her dignity and Team work is the key to success. She likes to listen music ,spend time with family and read books to enhance her knowledge. Dr A. 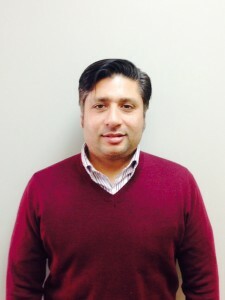 A. Ashraf is a registered chiropractor in the province of Ontario. He completed his degree at Southern California University of Health Sciences. 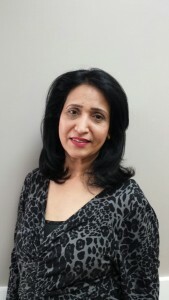 Dr. Ashraf has over 15 years of clinical experience treating musculoskeletal pain and dysfunction. Additionally, he holds a Diploma in Osteopathic Manual Practice. Dr. Ashraf speaks Urdu/ Hindi and is conversant in Punjabi. He is available by appointment only. Shanti Drepaul has a longtime passion for Fitness and the body with her current focus on Massage therapy. She enjoys creating then monitoring, progressing and fine-tuning treatment plans to help clients with acute or chronic soft tissue and joint dysfunction injuries. She graduated from the Bachelors of Applied Health Sciences Program (Athletic Therapy) at Sheridan Institute of Technology and Advanced Learning. She has also graduated with her Massage Therapy Diploma from the Ontario College of Health and Technology and her Fitness and Health Promotion Program from Humber College. Shanti has experience working with individuals who have had motor vehicle accidents, work injuries, sport injuries and every day stress related tension. She loves to motivate her new and existing clients with her Massage Treatments to create a body that is relaxed, pain free, has better mobility and range of motion. Ritu is dedicated to providing effective treatments that relieve pain and tension, decrease stress, improve posture, and ensure fast recovery from injuries. Ritu is passionate about educating her clients on how to achieve their goals with an efficient and mindful self-care regime to promote physical and mental well being. Ayesha graduated from CDI college with her PTA Diploma in 2004. Since that time she has worked in an outpatient orthopaedic setting. She is extremely passionate and dedicated and has helped many individuals in their health recovery. Rishi is a versatile massage therapist who has extensive experience in both clinical and non-clinical environments. He practices deep tissue, sports, pain, and relaxation massage. Whether treating sudden injuries obtained from sport or motor vehicle accidents, or those from day-to-day strain, Rishi is consistently effective in helping his patients recover to their full potential. 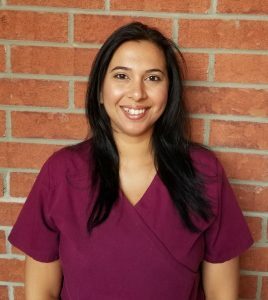 Gurdev K. Vaid is a very knowledgeable, skillful and enthusiastic massage therapist with background knowledge and experience in accident rehabilitations, injuries, deep tissue work, relaxation as well as mobilization and is giving her clients comprehensive and easy-to-do selfcare for home. She is applying high level of critical thinking in her practice providing clients with the best care with goals to improve their quality of daily living and positively motivate them towards a better and healthier life style. Shobha has been working at Physiotherapy First since we first started. In that time, she has gained valuable experience in client service and office administration. Her efficient and friendly manner enables her to assist clients with their administrative needs. She is dedicated to making sure the clients are comfortable and have a positive experience in the clinic. Shobha’s positive attitude and commitment will help to ensure the smooth running and success of Physiotherapy First. 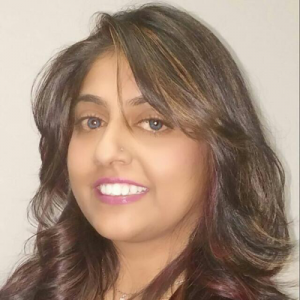 Arveen Gandhi is a Registered Massage Therapist and she graduated from Humber college. It is really important for Arveen to discuss and focus on clients’ needs and concerns before starting the treatment and she keeps track of her clients’ progress. She likes to learn and inform herself about new conditions, techniques, modalities etc. to improve her practice. This also enables her to provide high quality professional care to clients. Christina keeps Physiotherapy First running smoothly. So much more than just a friendly and helpful voice on the phone, Christina does everything from keeping our schedules in order and our clinic organized, to managing insurance claims and billing. She always goes the extra mile to enhance the experience of our patients, and to support our staff.